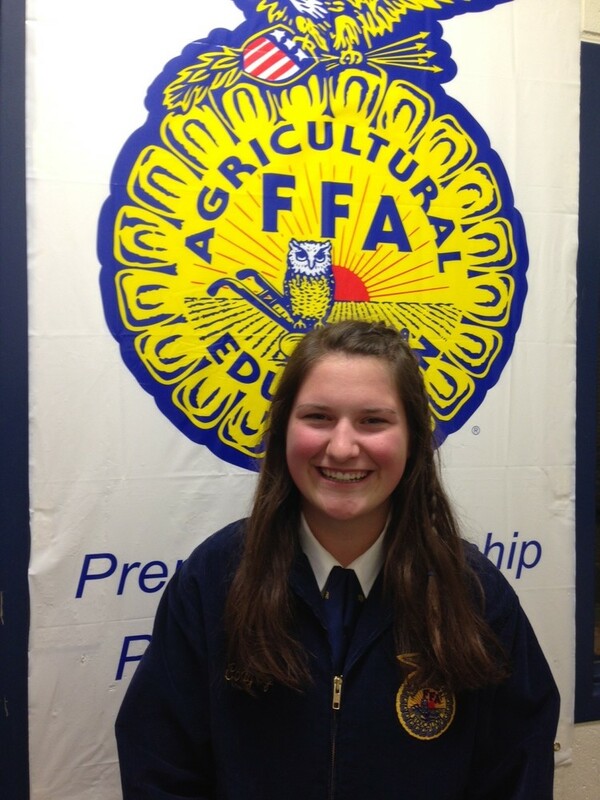 Sophomore FFA member, Josie Litwiller, was selected as the March member of the month for the Olympia FFA. She was selected for participating in multiple CDE’s (Career Development Events), primarily public speaking and parliamentary procedure, and becoming active in the section level through The Dodging Hunger Event at Midwest Food Bank in March. Olympia High School FFA member of the month awards are made possible by Dietrich Builders Inc.
Josie is the daughter of Greg and Sue Litwiller of rural Mackinaw. This is Josie’s second year in FFA. With being her second year, Josie has participated in many FFA events. Some of these events include Creed and Prepared Speaking, Parliamentary Procedure, and Dairy Cattle Judging. Josie’s supervised agricultural experience (SAE) includes cattle production placement. Thank you Josie for your dedication to our chapter and for being an excellent member! And thank you Dietrich Builders for giving us the opportunity to recognize members of the month!